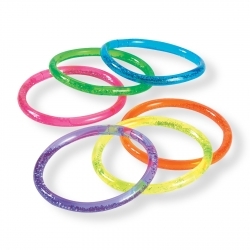 Here at Bubbles and Rainbows we have all the favor party supplies you need to fill those loot bags, party boxes and pinatas. Are prices are cheap but the quality is great and we have the biggest range for all our themes. From lip gloss to tiaras, crayons to paddleballs we have the coolest and most in demand items. Filling loot bags, party boxes and pinata's doesnt't have to blow the budget. 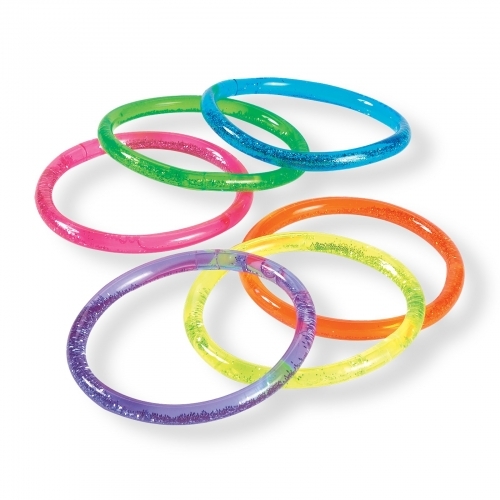 Glitter Bracelets come in packs of 8. Various colours. Each bracelet is water filled and has glitter and stars floating within.